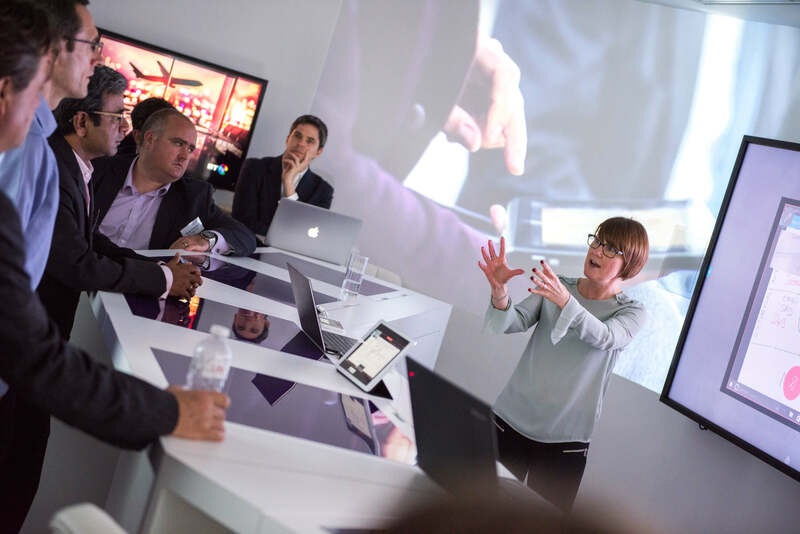 How do you create an environment that’s innovative, digital and adaptable to any customer? 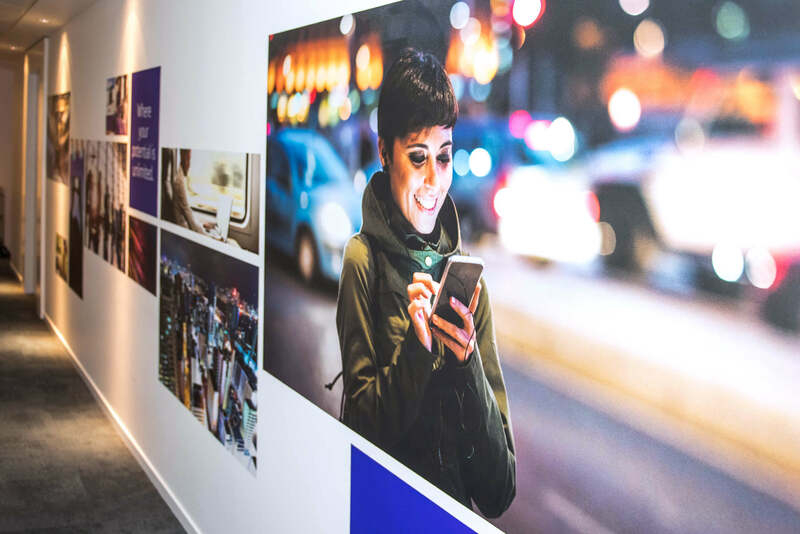 The Brief: With over 150 years’ experience as a global communications leader, one of BT’s greatest strengths has been their ongoing ability to innovate, evolve and adapt. They remain at the peak of their industry by consistently meeting customer challenges with innovative technology solutions and professional services that revolutionise business across an impressive range of industries. But bringing the breadth of this story to life can be challenging. 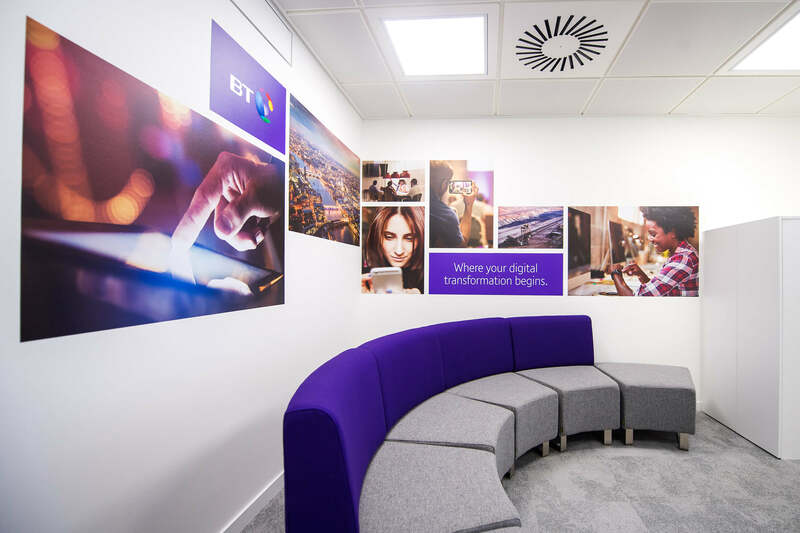 And with an increasing demand to customise and adapt to an ever more digitally connected customer, BT needed to provide an experience that would spark their imagination and ignite their senses with interactivity and new ways of thinking. 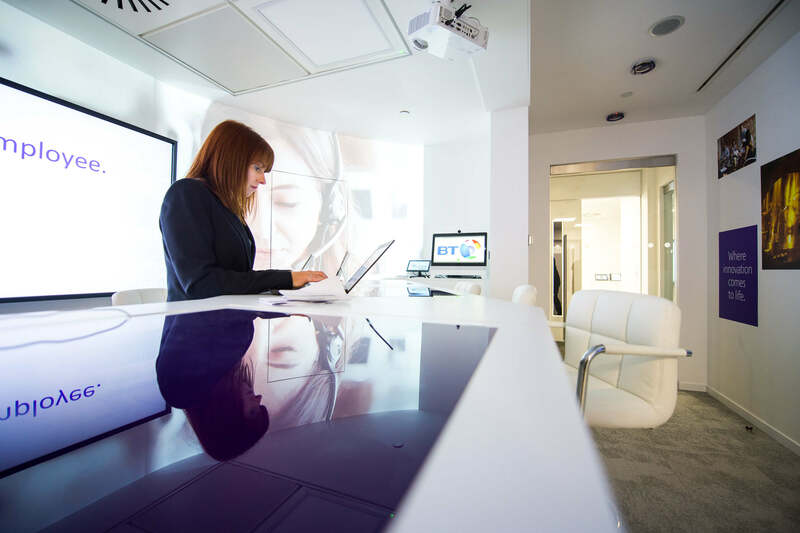 The Solution: A creative blend of digital, content, technology and physical environment that transformed BT’s London HQ showcase into a captivating experience, adaptable to any customer and every industry. With 510m2 of space to work with and a myriad of complex challenges to overcome and needs to cater for, we knew we needed to use every inch to its optimum advantage and create a uniquely personal journey for every visitor. 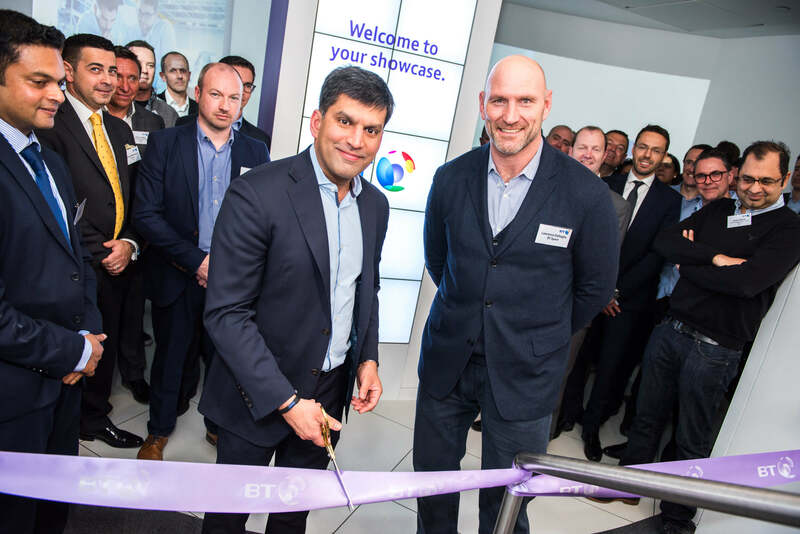 JPC’s vision for this project was clearly defined from the start, as BT’s lead global showcase design consultancy and having already built 21 of varying sizes and complexity across the world, we knew this needed to be the flagship for all others to eventually follow. 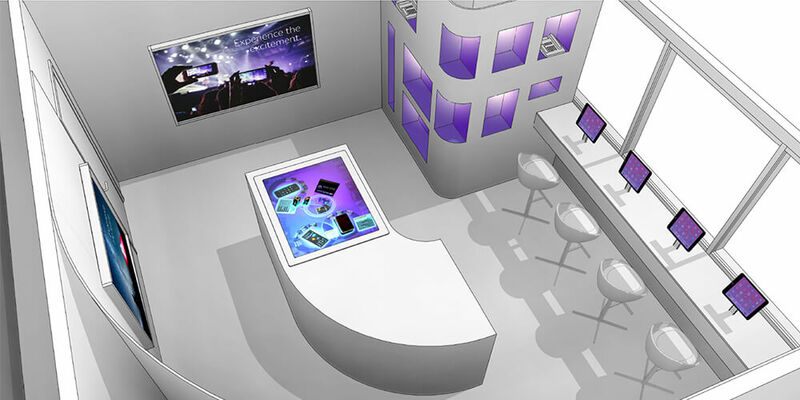 No stone was left unturned as we considered every aspect of usability and the experiential tactics to surprise and engage; putting customers and maximum flexibility at the heart of the experience. And our vision didn’t end with just strategy and some great creative ideas. We rolled up our sleeves and dealt with the practical, too. From on-site walk arounds with local crew and build managers, to briefing joinery experts and cabling/power installers, to conducting risk assessments and even crawling behind walls to assess structure – we ensured every goal could be met. 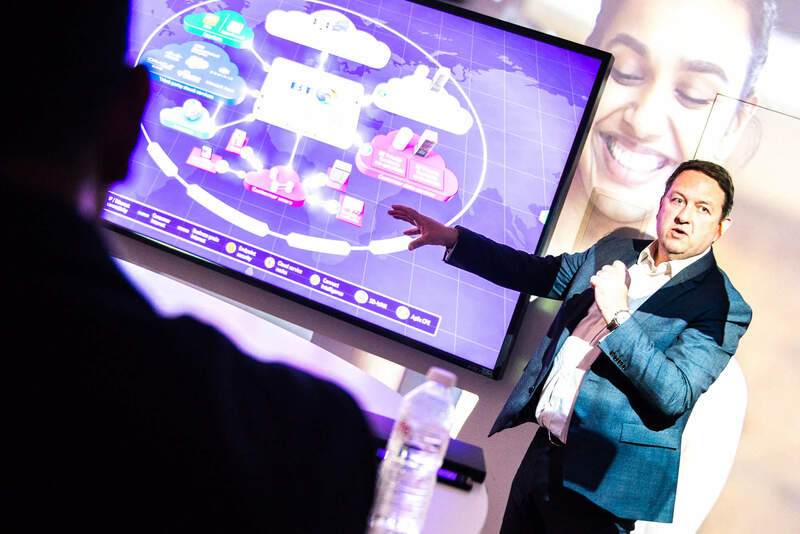 Together with BT we laid out end-to-end floorplans and conceptualised 3D visualisations and graphics that would detail a step-by-step blueprint for a 360-degree journey rich in sensory immersion. 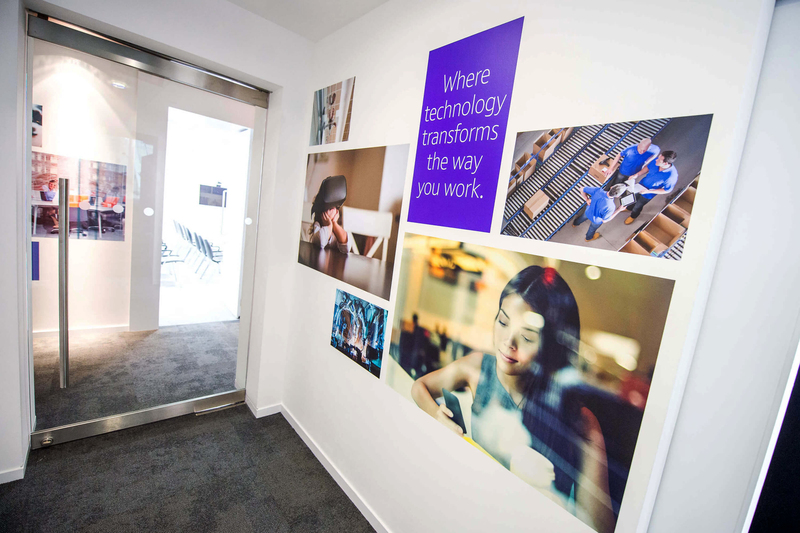 The digital benchmark is set from the outset as visitors arrive in a reception area that features an uninterrupted 6-metre wraparound projection and video tile wall that can be customised for every visitor. 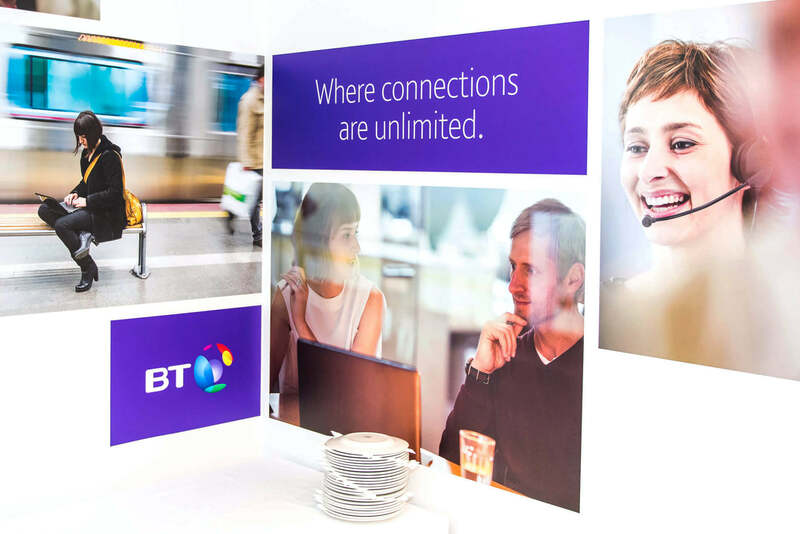 As they continue their journey they are enveloped in aspirational graphics underpinned by emotive imagery that embed a human and outcome-focused story, in keeping with the BT brand purpose. 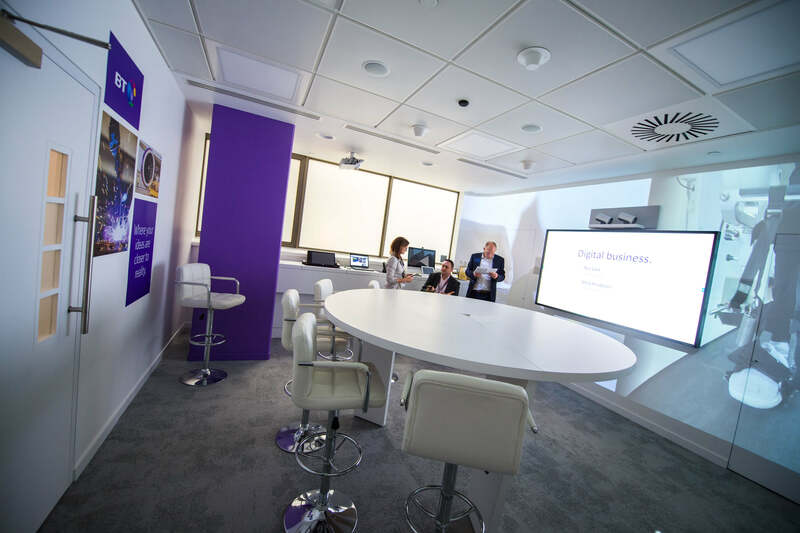 Once visitors reach the meeting rooms they are primed for an experience reflective of BT’s flexibility, adaptability and universal relevance. We made each space both practical and versatile. 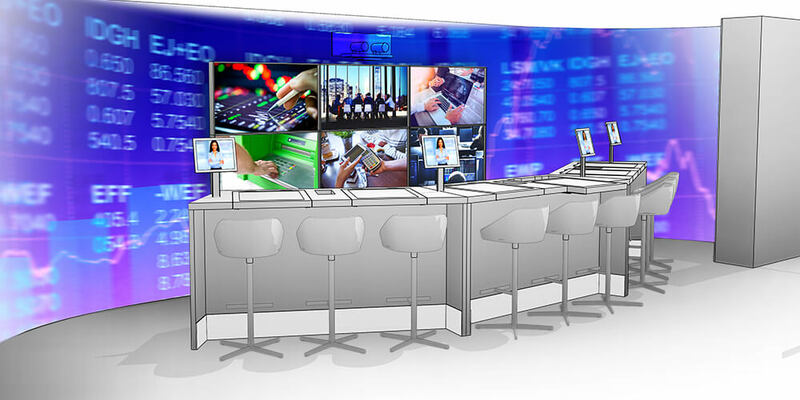 Modular furniture, networked IT and cutting edge AV provide clever solutions enabling any demonstration or meeting to be held in any space, from small brainstorms sessions and large boardroom set ups, to theatre style presentations and bespoke customer demos. 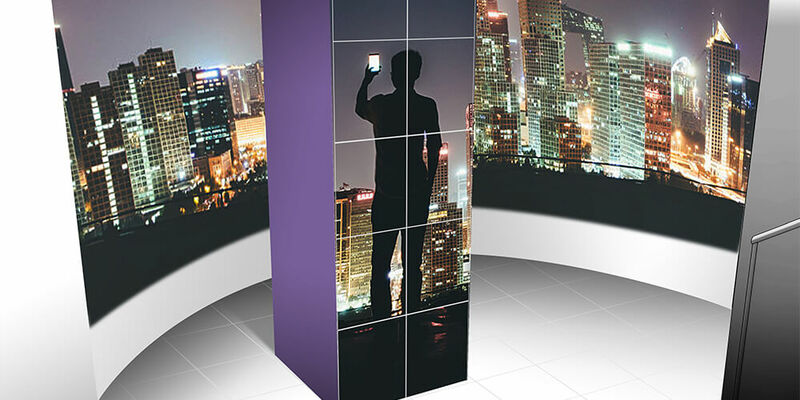 And digital wall projections with interchangeable videos were created to adapt to the customer’s specific industry making the environment enticingly personal. 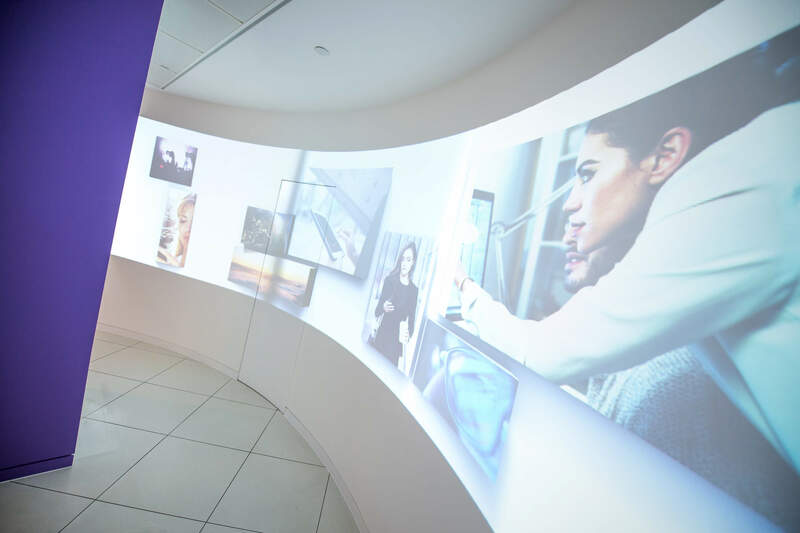 The immersive experience has a natural flow that’s ever-present from start to finish. 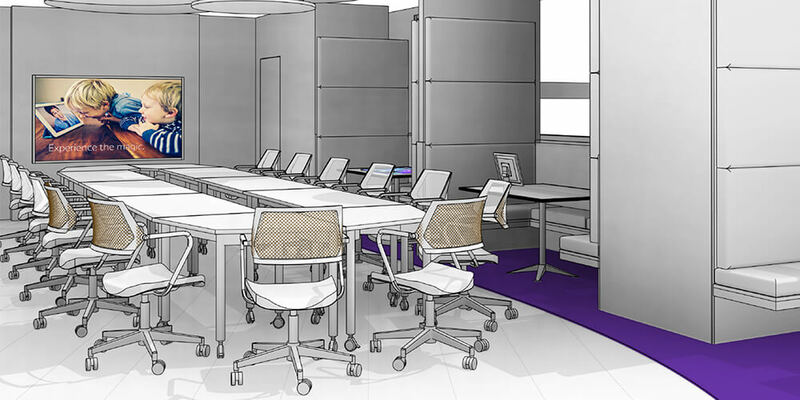 Everything from floor, wall and ceiling design to furniture, colours, textures, substrates, lighting and messaging was meticulously considered and implemented to contribute to an overall sense of limitless potential with the customer at the core of everything. 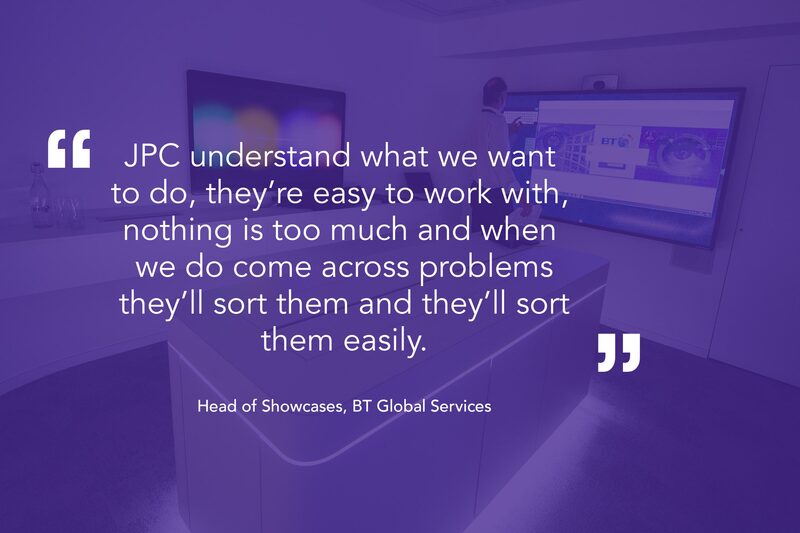 Interlacing this with various digital cues allows BT to fully demonstrate their innovative and disruptive technological capabilities to a truly captive audience, while also future proofing BT’s showcase for changes as yet unknown. The Result: From a kick-off meeting in the first week of January 2017, the entire project was completed ready for internal launch at the end of March 2017, with an external launch held in May 2017. 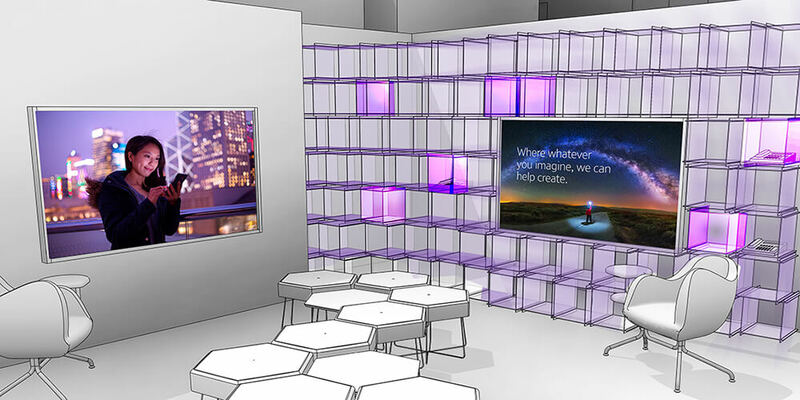 An 11-week turnaround for design and build of a 510m2 showcase space that hits every target – digital, innovative, immersive and customisable. 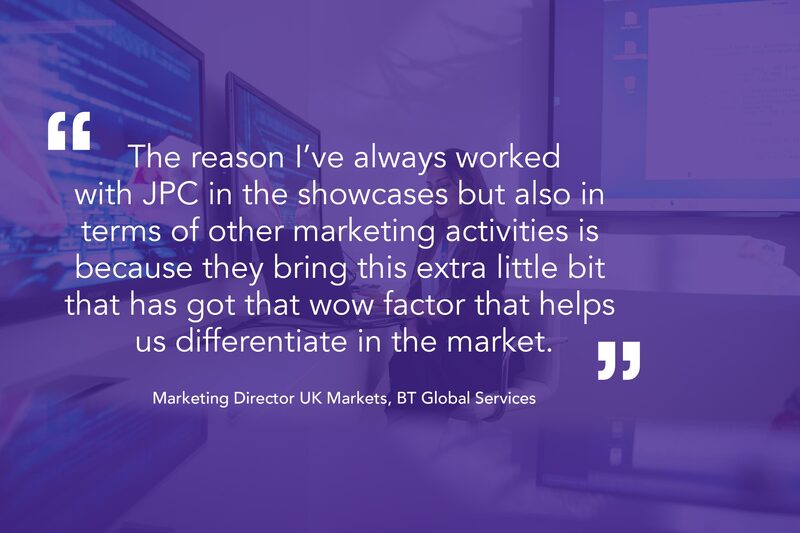 JPC have got experience with us in many of our showcases across the globe; Hong Kong, New York and London, and you’ve shown real creative thinking around this one, in particular. I think you’ve just brought it and delivered in a way that’s expanded our original thinking about what we do. Everything you’d want from an agency.